Leading Manufacturer of aqua loop from Mumbai. 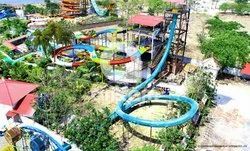 We are offering Aqua Loop Slide to our client. Looking for Amusement Park Equipment ?